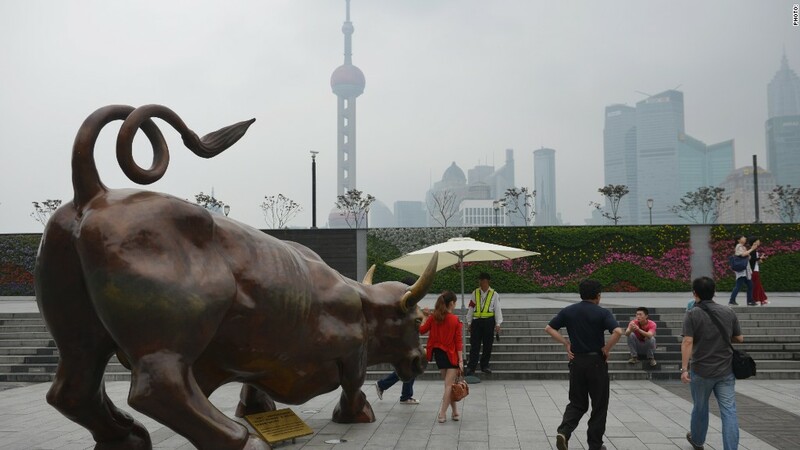 One very large bull sits along the Bund in Shanghai. The Shanghai Composite registered a jaw-dropping 52% surge last year. And just about every analyst still remains bullish and agrees the index has even more room to run. Shanghai's 2014 performance made it the best performing major global market of the year (Argentina beat it). A mere five trading days into 2015, the index is already up another 2% -- beating the S&P 500, which is down 1.6%. 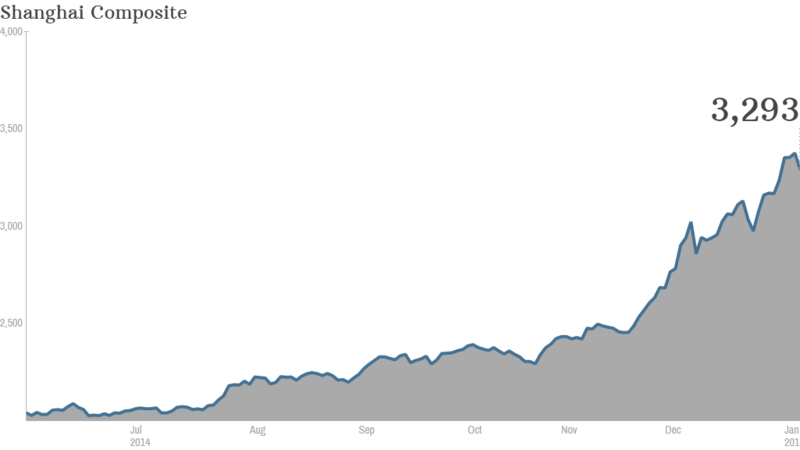 Experts say the market is warming up for another meteoric annual rise, fueled by elevated investor confidence that appears to be at odds with the broader economic picture. The Chinese economy is expected to post a lower growth rate yet again this year. But analysts say investors are confident in the government's ability to manage the continued health of the overall economy. Plus, retail investors are also looking for new ways to diversify their investments -- the Chinese have traditionally invested in the now-waning property market, and the downturn that could increase interest in stocks. "While over 61% of Chinese families have bank deposits, only 6.5% of them invested in the stock market," Jefferies analysts wrote in a research note. "Given China's high savings rate and low stock market penetration, we believe [China stocks offer] significant upside potential." Last year's landmark boom was fueled in part by what Capital Economics described as a "sense of mania taking hold." The central bank helped too, announcing in late November that it would cut benchmark interest rates. But China's stock market had already started gaining steadily in June, far before the policy announcement. Analysts chalked the incredible rise up to investors expecting the government to support the equity market, especially after state media published pieces last year highlighting stock investments. Only time will tell if the bulls will win this year -- China still faces a slowing economy, massive corporate and government debts and a flailing property sector. And a program aimed at boosting foreign investor interest in Shanghai stocks that launched in November turned out to be a dud.